Angelique Kerber said she saw it as a positive to reach the final in Indian Wells despite eventual defeat. The German lost to 18-year-old Bianca Andreesacu, the first wild card to win Indian Wells. For me, the positive thing is that I played in the final, something I didn't expect two weeks ago. However, after a slow start to 2019 Kerber was pleased to have played her way back into some form during her time in the tournament, reaching her first WTA final of the year so far. Having beaten Venus Williams and Belinda Bencic on her way to the final, she is now heading off to compete in the Miami Open, staged for the first time at the Hard Rock Stadium, home of the Miami Dolphins. Kerber said of her run in Indian Wells: "For me, the positive thing is that I played in the final, something I didn't expect two weeks ago, that's why I'm happy about this tournament and that gives me a lot of confidence. I mean, in a few days we have another tournament and we all start again from zero. "I was trying not to look too much on her side but she played well. Miami is the new chapter for all of us, different conditions and rivals, also the new venue, I'm looking forward to going there." 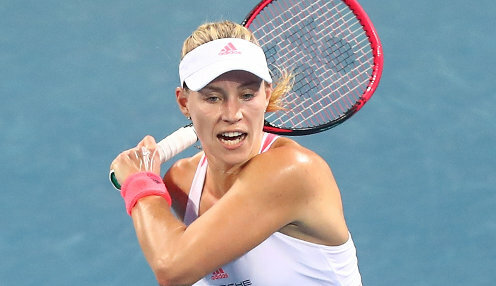 Kerber is 1212/1 to win the Miami Open with Simona Halep 1212/1 and Serena Williams 1212/1. Kerber, currently ranked fourth in the world, will soon turn her sights towards the clay court season which culminates as usual with the French Open. She has never won the title in Paris, the one Grand Slam she is yet to win, her best run there before a quarter-final appearance in 2012 and also last year. However, she is defending Wimbledon champion, beating Serena Williams in last year's final and is 8/1 to win this year with Williams 4/1.